​Barcelona forward Luis Suárez is facing a race against time to be fit for his side's Champions League quarter-final first leg against Manchester United next month, after suffering a sprained ankle in his side's 4-1 win over Real Betis on Sunday. 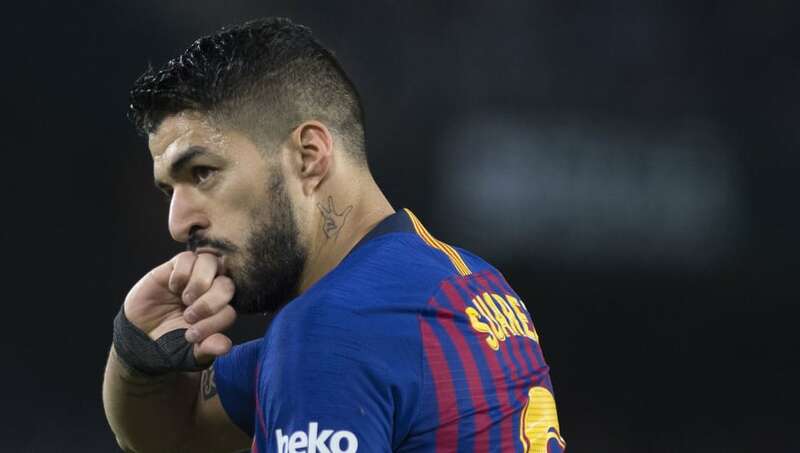 The Uruguayan ace has been in scintillating form of late, and scored a stunning solo goal in his side's demolition of Andalusian side, in a game that also saw club talisman Lionel Messi bag yet another hat-trick. However, in the 90th minute, Suarez limped off the field with what appeared to be an ankle sprain, tainting an otherwise emphatic victory. ​​​Barcelona took to their ​official Twitter page to reveal the 32-year-old will undergo tests on his ankle on Monday, to determine the extent of the damage. It is likely that the player will be ruled out of action for the Uruguay national team, and will instead receive treatment for the injury with the club medical team. Losing ​Suárez for the ​United match would be a massive blow to the Catalan giants, given that they're relatively short of numbers in the striker position. January signing Kevin Prince-Boateng, who has made just one 60 minute cameo since joining the club, is next in line to start down the middle. Ernesto Valverde's side are already missing winger Ousmane Dembélé, ​who suffered a torn hamstring in their previous Ch​ampions League encounter against Lyon, and may be forced to field a relatively inexperienced front-line in their upcoming matches, as they look to weather the worsening injury crisis. The first leg of the tie will be played at Old Trafford on April 10th, before the two sides meet again at the Camp Nou on the 16th.